Is anyone else having issues with this new update? I did the update and right near the end of a mission I couldn't move to the exit or shoot. Exact same here.. on Beach Life mission it started saying I could take 3, but only the first shows up. When I try to walk into the finish zone, my warrior just stands in place and the game freezes. Restarting game lets me redo the last move but that's it. So I though dying may get me out without loosing my character. Nope, my guy is now stuck in struggle with a walker and it simply won't progress to "defeated". Update: one more restart after feeding my guy to the walkers and I finally got out of the mission, my guy in the Hospital tent. 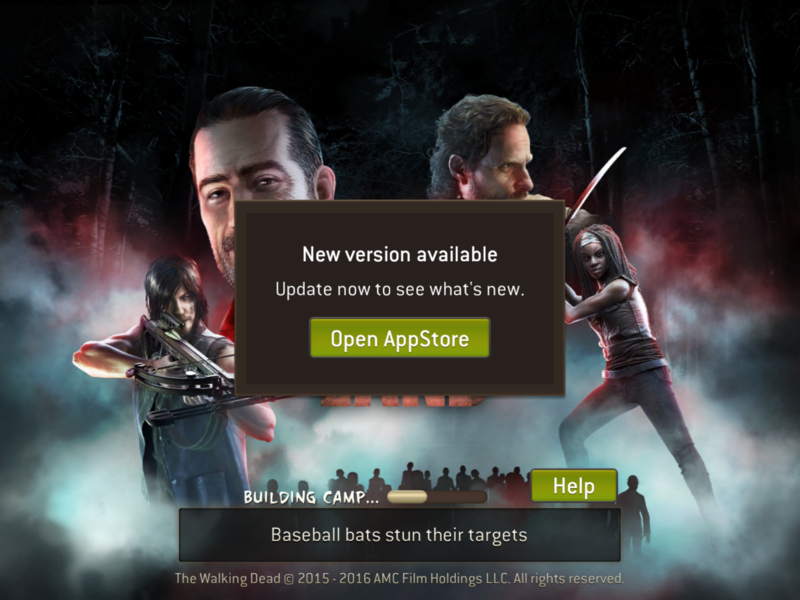 I cant get into game says I need to go to App Store for update, however in App Store doesn't give me an update option just open. which takes me back to the loading page of game telling me to go to App Store to update? Hey @Jonnydog, try closing the game from the background. Then open your App Store and go to the "Updates" tab. From there you should be able to download 2.3. @Teeceezy just tried as you suggested & get the same result. Just did the update and now my game has no sound!! @Teeceezy the app store workaround worked for me. I was having the same issue not being able to see the update, but went to the update tab on the app store and was able to update this app. Thanks. I can't get the new challenge to work. I've tried restarting both the app and my device. Look at the post above. Close out the game. 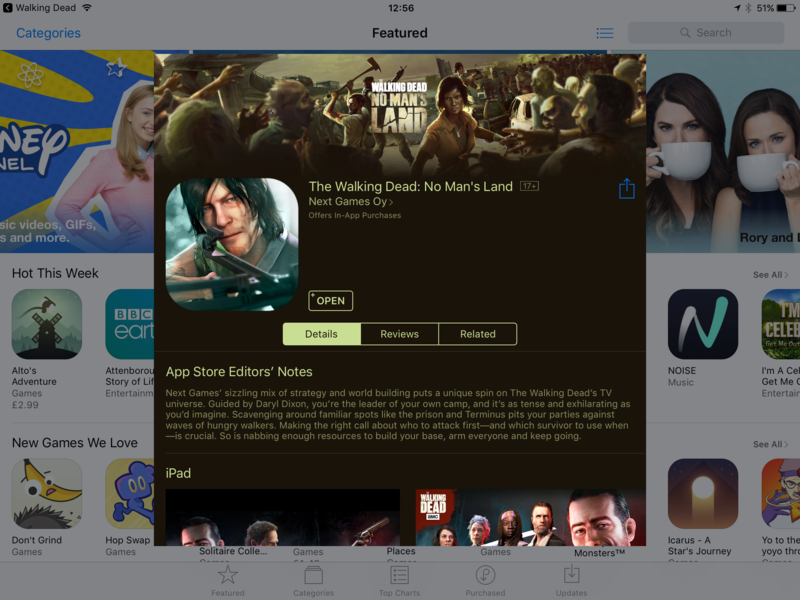 Go to App Store and open up the updates tab and update the app from there. That's what I had to do and it's working fine now. When on a scavenge mission my survivors and walkers are in fast forward. Each motion they make is like super speed. This started after the update. Are the suppose to be that fast or is this a glitch? If so, how do I fix this. I have tried restarting my iPad twice with no change. @Dozer do you have the fast forward button on? I must... where so that located? New to the game, sorry. I figured it out! Thank you, feel ridiculous, so simple! I know, very strange some players are getting unlimited cinema ads , others nothing! Hope they get it figured out. After last major update it was an issue then. It looks like my cinema & crates are working on both games! Thx so much. Watch video. Again Again no watch video or cinema. Tryed killing all running and cashed Google process, and restart. This have been for a while and no answer from NG Anybody else?